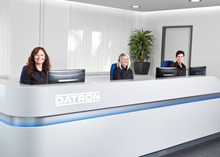 Muehltal, Germany, 14 July 2016 - DATRON AG, a medium-sized mechanical engineering company from Germany launched today a special website for its brand new compact 3-axis milling machine DATRON neo. DATRON offers information on the inexpensive milling wonder before its official premieres at IMTS in Chicago and at AMB in Stuttgart, Germany, later this year. On the product website www.datron-neo.com visitors have the opportunity to experience DATRON neo’s innovative machine concept that among other highlights offers an intuitive touch operation, similar to a smartphone. The overall smart approach is also expressed through the easy navigation of the website. Applications, technical data, highlights, as well as accessories and services allow an easy overview of the compact solution’s capabilities, especially engineered for prototyping and short run production. With the new DATRON neo access to high-speed milling is made particularly easy. Based on the Plug & Play principle, users can control the 3-axis CNC milling machine with the new DATRON next software even without years of expertise. The ergonomic, frontal access to the workspace enables easy and safe setup of workpieces and facilitates rapid and precise machining. In addition, the fully equipped milling machine fits through any standard door and is extraordinarily space-saving (minimal footprint of approximately 1m2). DATRON neo was specifically designed and purpose-built to give you an easy access to high-speed milling. Interested? 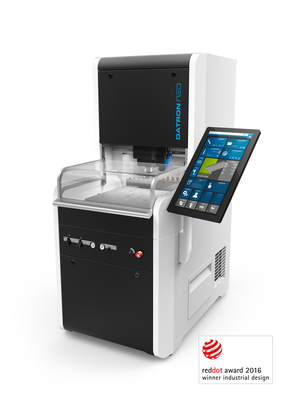 Then experience the revolutionary DATRON neo in one of the three DATRON technology centers in Germany or at the AMB 2016 (Hall 7, A52). Our DATRON experts are looking forward to introducing you live to this rock star among conventional compact milling machines.